I'd say this game is pretty good. 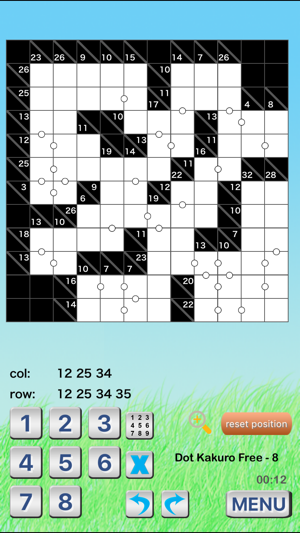 So far I've played Kukuro, and Dot Kukuro which I like because you get to use the type of logic required for Sudoku in a Kukuro puzzle. 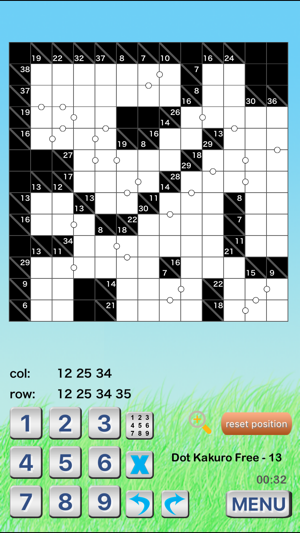 I didn't rate it higher because you only get 35 free puzzles. Then each set of 25 puzzles is 99 cents each. Seriously way too expensive. Other apps I've used are much more generous. On the other hand, out of the three I've tried, this one is the easiest to use, has the best design. 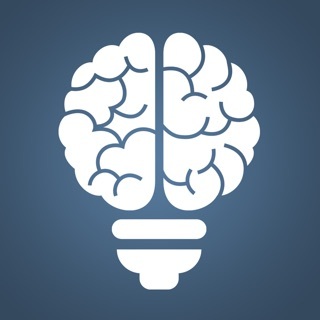 This app is worth downloading to play 35 free puzzles. After that, I'd look elsewhere. I have really enjoyed this game. Each time I learn some “other”trick or nuance. 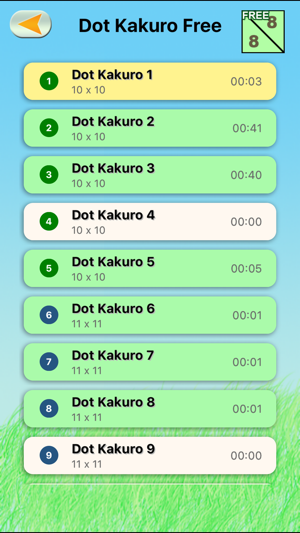 I would love to see an app devoted to “dot” Kakuro, so there would be more to choose from. Works very smoothly. 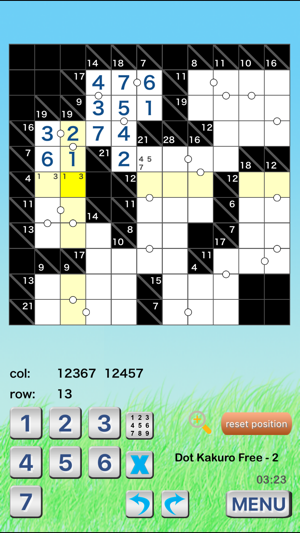 So good for keeping sharp with numbers and absolutely addictive. 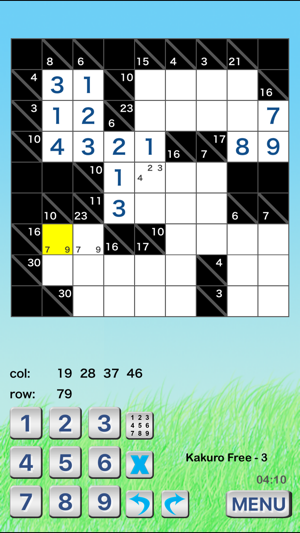 You learn numbers with very limited possibilities quickly and the game speeds up.